About Stephanie Pavlik, O.M.D. - Stephanie Pavlik, O.M.D. In 1994, after experiencing the powerful impact that Acupuncture and Oriental Medicine (AOM) had on her own ailments, Stephanie’s interest in AOM was sparked. She was residing in Carson City at the time and there were no Acupuncturists practicing in town. It was then that she recognized the need for the people of her hometown and surrounding region to have more healthcare options accessible to them. This was the beginning of her journey to bring Acupuncture and Chinese Herbal Medicine back home to her community. In her practice, Stephanie treats people of all ages and in every stage of life. She has compassion for her patients and provides individualized treatments in a supportive and nurturing environment. As a health care provider, she is passionate about educating her patients and empowering them in their commitment to health. 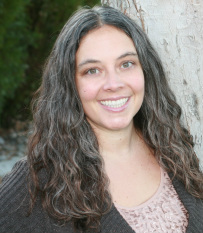 She will work with you to create balance in your body and improve your quality of life. Stephanie has a special interest in women’s health, pediatrics, emotional imbalances and preventative care. During her education, Stephanie had the opportunity to study at Zhejiang Chinese Medical University in Hangzhou, China and witnessed first hand the integration of Eastern and Western Medicine in the area hospitals. Stephanie’s education and clinical experiences provided her with a unique exposure to many different types of treatment methods and styles, including: Traditional Chinese Medicine, Japanese Acupuncture, Five-Element Acupuncture, Tuina, Moxibustion, Gua-sha, Cupping, Auriculotherapy and Medical Qigong. Stephanie enjoys spending time with her family and playing in our beautiful backyard, whether it be in a kayak, hiking on a trail, in the water or riding her bike, she is happy just being out in nature.